We're pleased to announce that the latest Qorus release is here! 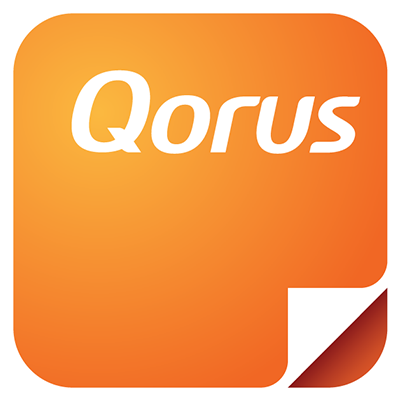 The first thing you'll probably notice is the new look and feel of the Qorus Add-ins, designed to offer you a better and more intuitive user experience - particularly around the Search. 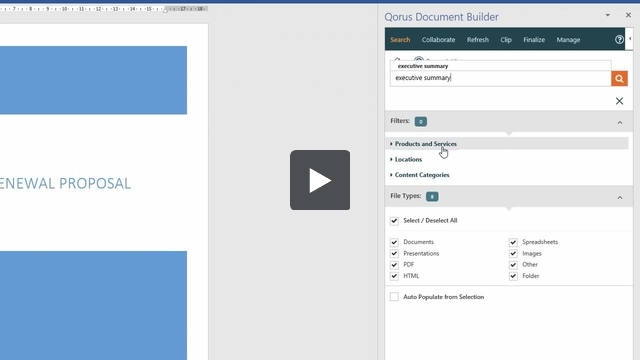 You can now see all the content sources connected to your Qorus when you open the Qorus Add-ins, or click on 'Search' in the top nav. Previously, you'd pick a content source from a drop down menu and only be able to search the content source you had picked. Now, you can select some, or even all of your content sources, and search them all at the same time. This means that it is now possible to search OneDrive for Business and SharePoint Online without having to do multiple searches. Along with the ability to search more than one place at a time, we now display the number of results matching your search for each content source. This way you can see how many files were found in OneDrive for Business, and how many in SharePoint Online for instance. It is now possible to browse the files and folders in each content source, by simply clicking on the content source name. This is great for information discovery, as you can now fully explore content sources, or quickly go to that folder you need in OneDrive for Business, for instance. You can now limit the search results (or target the search) by clicking on a content source, browsing to the place you want to focus the search on, and then entering a search term in the search box. Qorus will limit the search results to only show content items found in the specific location you have browsed to. We've added and improved upon the breadcrumbs we had before, so you can now more easily see where you are, and if necessary retrace your steps and go back to where you were before. Previously, you could only search one content source at a time, and you could also only see your saved searches and pinned files for your selected content sources. Now when you click on the star icon, you can see all your favorites, across all your content sources. To make it more intuitive and easier to understand, we have renamed 'Compose' to 'Create'. We've made it a lot simpler to setup your SharePoint Online content sources, as we've uncluttered some screens and introduced a more step by step approach that's easier to follow. You can also now setup search locations and save locations independently, and it is no longer necessary for a save location to also be a search location. This is a nice change for content managers who'd like to have their user community contribute towards re-usable content (by clipping content to a drop off library), while allowing for these to be reviewed first, before clipped files become searchable and officially available for re-use. On SharePoint Online Library content sources, we've done away with the keyword filter setup (where you had to manually type in the keywords relevant for a particular content source), and replaced it with functionality that has Qorus doing the heavy lifting for you, as we now create your search filters automatically, based on any Managed Metadata columns we find on the libraries you've connected.